Whatever illusion I had about understanding the weather has been dashed in the past year. Between the recent temperature swings and the “need to build an ark” with our record-breaking rainfall has set my confidence in my weather predicting out the window. Weather has never been predictable but our norms and trends now seem to be setting their own norms and trends and will make this year’s flower predictions very challenging. Perhaps this is Mother Nature’s gentle reminder to us all to live a little more in the moment rather than in what is to be. 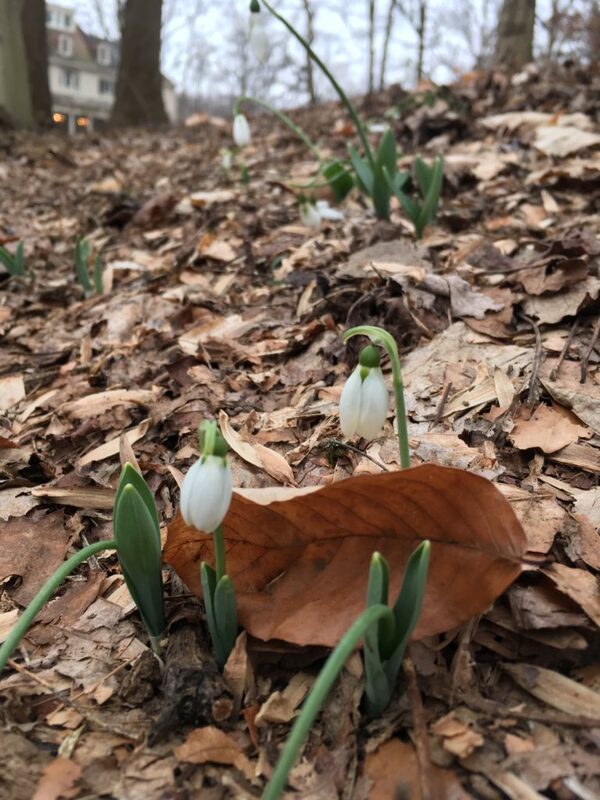 That being said, I can report to you some flowering activity that I saw on Tuesday before the drop in temperatures. The warmer than normal winter has set the March Bank in motion. We are not saturated in color by any means but it is very heartening when dormancy is broken by burgeoning life. 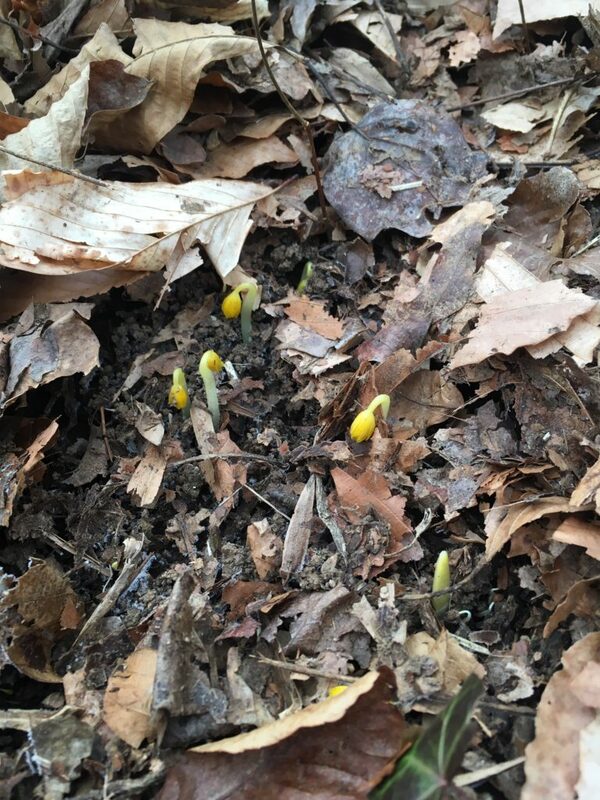 With temperatures increasing by nearly 50 degrees on Tuesday, (there I go, predicting again; old habits die hard) we should see even more white and yellow color added to the brown of the forest floor. 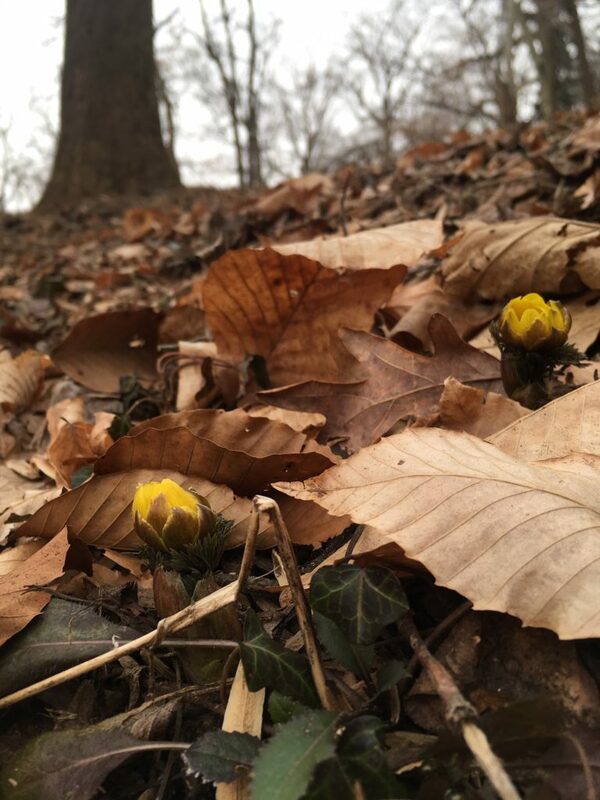 Underneath the leaves, winter aconite begin to emerge. 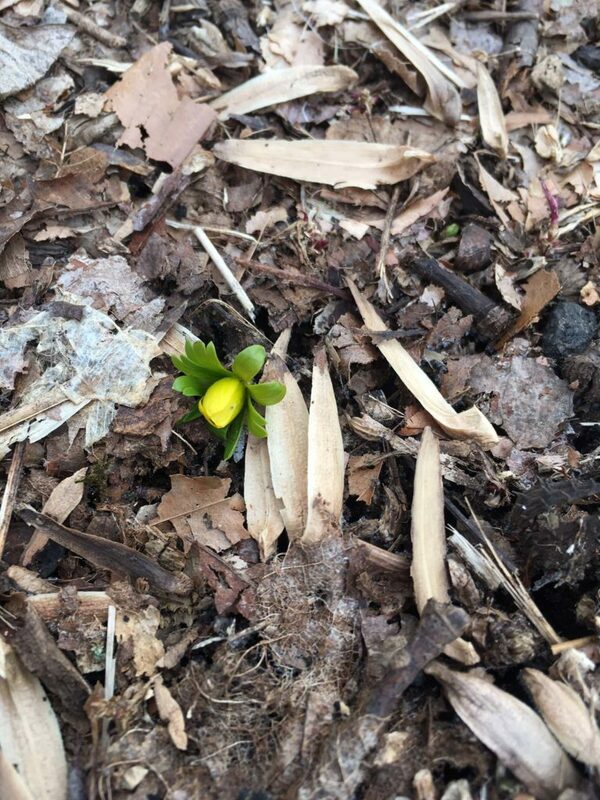 A single winter aconite almost in flower.